Around the same time last year I wrote a suggestions of 10 “must-have” apps for Android Smart TV (a.k.a Android dongles used to make your TV a smart TV – that includes the MK802 III which we reviewed here). The article was extremely popular, and, although the suggestions are still valid, I feel like it is time for a refresh. Some of these apps have been updated, Android itself has been updated and made some apps irrelevant, or, as is often the case, I have found more useful apps through my daily use of my Smart TV. 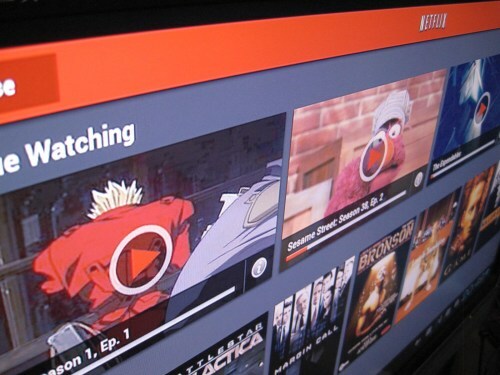 There used to be compatibility issues with Netflix on some Android Smart TVs, but as far as we can tell, these issues have been solved with the latest Netflix versions. If you run into any issues with Netflix on your Android device, give a try to an older version which has the reputation of having the highest compatibility, Netflix 1.8.1: The APK for Netflix 1.8.1 can be downloaded here. MX Player is hands down the best movie player we’ve used on our droid HDTV stick. And trust me when I say we’ve tried lots of them. BS player, VLC, the default player installed on the device,… MX Player is still the one we’d recommend to everyone. It was working great on a lowend Android stick with a single core 1GHz CPU (the MK802), and it works great on any of the dual or quad core sticks today. MX Player’s advantage: it allows you to switch between hardware and software rendering mode for both video and audio stream, independently. More than once, MX Player was able to play smoothly a video that no other player would play correctly, and that was simply done by switching Audio or video from Hardware to software rendering, or vice versa, depending on the case. 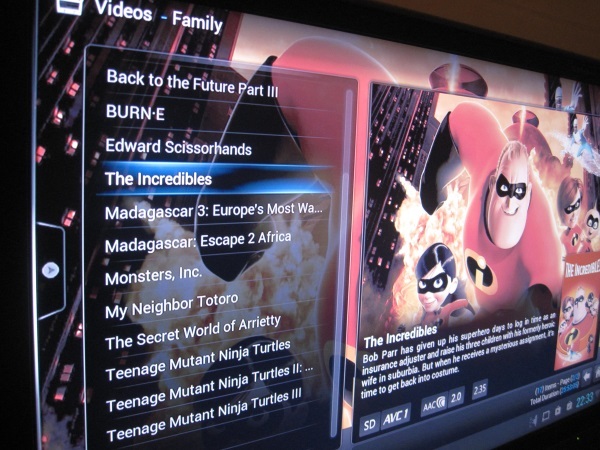 XBMC is the definitive Video Library for many devices. Its Android version has come a long way since last year and now supports hardware acceleration. For some Android devices though, Hardware acceleration is not working correctly. In that case, it is possible to use XBMC with an external player such as MX Player. XBMC acts as your (gorgeous) video manager, while using MX Player for the actual video playback. This is not without issues but works relatively smoothly, and it’s worth it: XBMC just looks awesome on your TV. There are many MP3 players for Android and you probably already have your favorite. As a long time Amazon customer, I appreciate the Free 5GB of storage I get for my music online, not counting all the free storage for MP3s bought directly from Amazon. The interface is fairly easy to navigate. 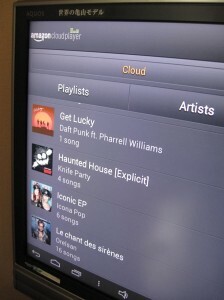 I wish I could say XBMC is my application of choice for music, sadly XBMC’s poor handling of ID3 tags makes it a no go for me, and I prefer to use Amazon MP3, again mostly for its seamless integration with the cloud. An extremely useful tool, and other ones that we tried such as “Astro”, or the already-included File explorer on some Android Smart TV were no competition for ES Explorer. ADownloader is a bittorrent client for Android. P2p downloading is an efficient and fast way to exchange files, in particular huge media files, and ADownloader New is the best p2p app we’ve found to use on your smart TV. In particular, you’ll appreciate its automated IP blacklist system, as well as the fact that search is directly integrated with the most popular bittorrent search engines. Unfortunately some new rules in the google play store forced the authors of ADownloader to remove that integration, and the latest versions of this app are therefore not as interesting as the old one. Therefore, the version we recommend is version 1.1.0.1, which can be downloaded here: ADownloader 1.1.0.1 Download. Make sure to deactivate automatic updates for this app! You might want to use an FTP Server on your Smart TV box to use the box as a central “hard drive” for your family. For me, because our box is very low consumption and connected to a big hard drive, it makes it the ideal storage solution, hence the FTP Server. Just like MP3 Players, there are dozens of FTP servers available on Android. However I have found it very hard to get one that works consistently and offers the basic features and low maintenance. The FTP Server I used to recommend last year was 100% free, but somehow stopped working entirely for me one day. I replaced it with the Free (ad supported) version of “FTP Server”, an app from Olive Tree Software. This FTP server is extremely simple to configure, and stay up and running even if you use other applications (that sounds obvious, but some FTP Servers on Android just automatically close as soon as you switch applications… which makes them very impractical). In other words, start it once and forget about it, and your entire household can then upload/download movies, music and picture to it. Very convenient! The Chromecast is a tiny google device that basically makes your TV a smart TV. 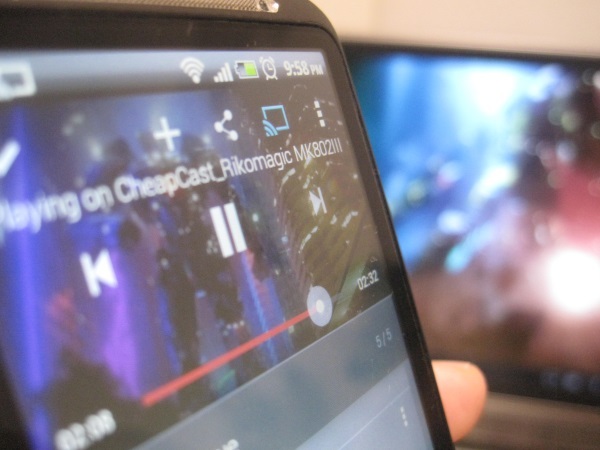 It is extremely convenient because of an integrated protocol that lets you control youtube, Netflix, etc… directly from your phone; but Chromecast is extremely limited compared to other Android Smart TVs. 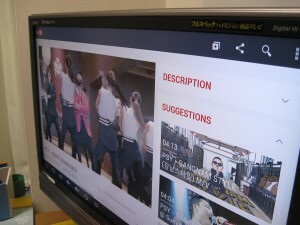 How about you, what apps are you running on your Android smart TV, that you would recommend to other users?